Governor Andrew Cuomo signed the Compassionate Care Act on Monday, officially making New York the 23rd state to legalize medical marijuana. With its ban on smoking medicinal cannabis, the law is one of the strictest in the country. New Yorkers won’t be able to buy marijuana for at least 18 months, giving the state time to work out various details and begin growing the drug. 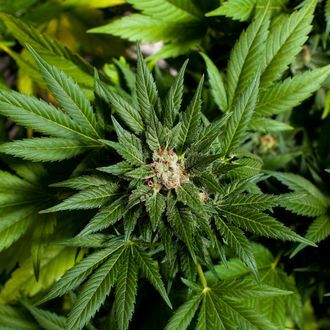 Assemblymember Richard Gottfried, who has been trying to get the law passed for 17 years, told Capital New York he hopes to get past that last hurdle by amending the law to allow New York to import medical marijuana from other states. At Monday’s ceremony, Cuomo reiterated that marijuana is a “gateway drug” and referenced the state’s heroin epidemic, so the amendment is probably a long shot.